Herbakraft is proud to announce its state-of-the-art analysis of Ginsol, its trademarked ginger extract using the same fingerprint analysis - LC-MS-MS that identifies ginger’s active compounds, mainly gingerols, shogaols and paradols. These compounds are believed to be the active components of ginger’s health benefits, such as its reported antioxidant, anti-nausea- motion sickness, cardiovascular and antinflammatory support properties. Through an exclusive processing technique, the natural oil and the compounds containing ginger's beneficial compounds are extracted from the root of the ginger plant to make Ginsol. 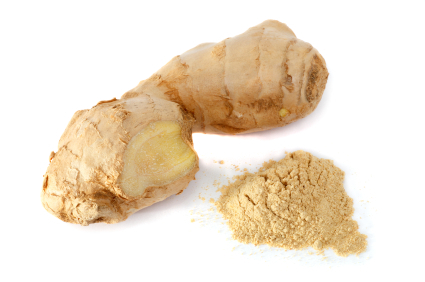 The exact identification of active compounds makes Ginsol the most highly characterized ginger extract available. Ginsol contains a level of total pungent compounds that cannot be equaled by other forms of ginger, including unextracted root powders, ginger extracts, tinctures or teas. Herbakraft continues to set higher standards in the manufacturing and testing of its herbal extracts. These higher standards provide a higher quality, better characterized product with more scientific and technical data that can be utilized for the customer’s benefit. Ginsol : Your answer to the best Ginger , available in various forms for different applications.